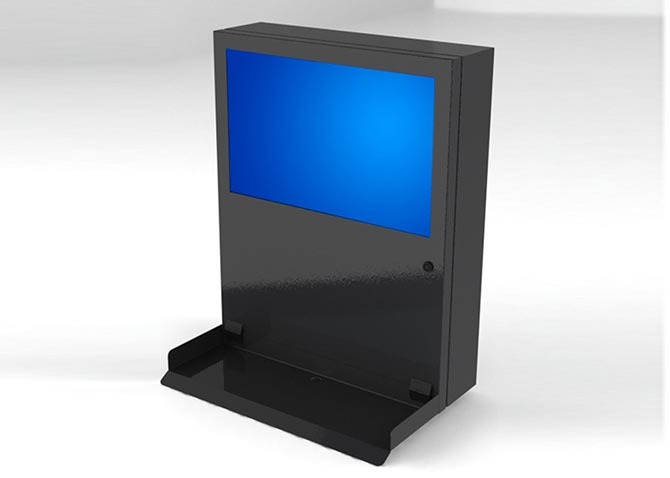 This LCD TV enclosure has a stylish sloped top and bottom, making it the perfect anti-ligature option for hospitals (mental or psych wards), jails, and prisons. 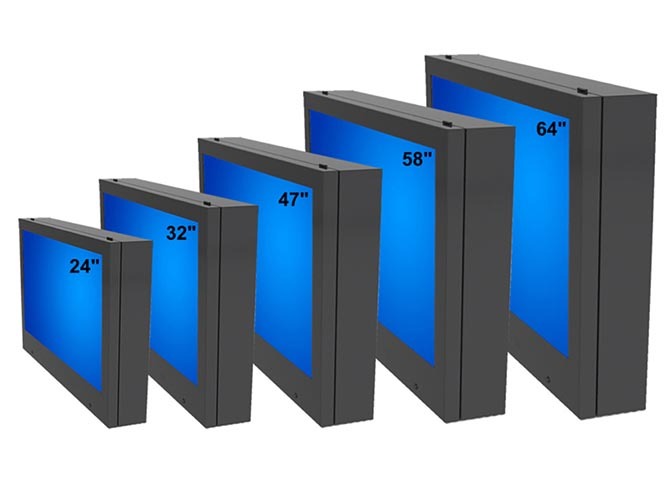 It is offered in multiple sizes for 17" - 65" screens also works well in outdoor and harsh public or industrial environments. 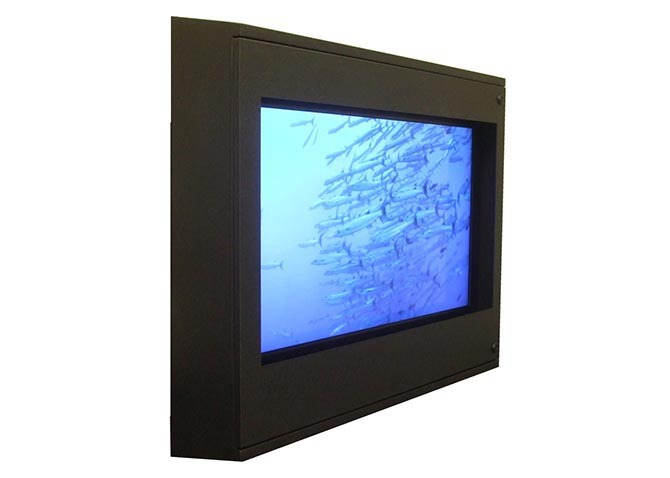 This flat screen TV enclosure includes a durable clear plastic window that provides outstanding protection of your flat screen TV. 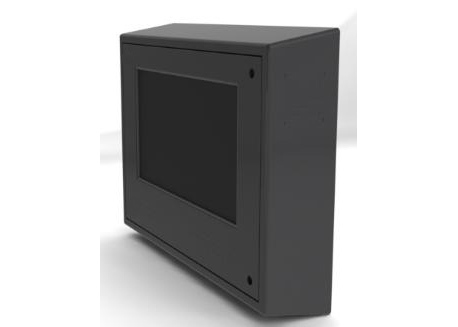 This ligature and suicide resistant TV enclosure is compliant with The Joint Commission (JComm / JCAHO) standards for a world class anti-ligature solution. Cooling Fans, Filter, Gasket, and Keyed Locks.